The Synchrono® management team has a passion for creating demand-driven manufacturing solutions that deliver business results. 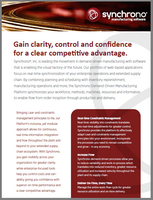 The Synchrono team represents a powerful combination of innovative software development, real-world manufacturing experience, and thought leadership in Lean and constraints management principles. Experienced and dedicated to providing complete customer satisfaction, the Synchrono team is committed to helping you realize your demand-driven vision to align priorities, obtain visibility, increase flow — and gain a competitive advantage. Dave’s business sense and passion for business-enabling technology come together perfectly at Synchrono. Dave has spent his career leading world-class teams while building and managing successful software products. 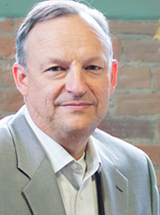 Prior to Synchrono, Dave held the title of Senior VP, Operations, at Sagebrush Corporation. He has held a series of management and executive roles, including Managing Director, at Tripletree LLP, Director of Sales at Ciber, Senior Manager at Price Waterhouse LLP, and Program Manager of Kroll Ontrack. Dave holds a B.S. in Business Administration from the University of South Dakota and an M.B.A. from the University of St. Thomas. John is responsible for providing strategic direction for the Synchrono product roadmap and overseeing the technology and delivery functions within the organization. With Synchrono since the start, John has years of experience working in manufacturing with expertise in ERP, MRP, APS, supply chain, MES and manufacturing planning and scheduling systems. John’s experience helps drive continuous refinement of the Lean and constraints management-based software and service solutions of Synchrono. John was recognized as a Pro to Know by Supply & Demand Chain Executive. Prior to Synchrono, John was Production and Inventory Control Manager for Johnstech International, Minneapolis, and Production and Inventory Control Manager for Freedom Plastics Incorporated. 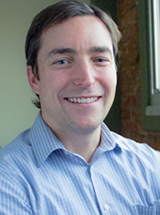 John holds a BBA in production/operations management from the University of Wisconsin, Whitewater, and an MBA from the University of Minnesota, Carlson School of Management. He has an APICS certification in Production and Inventory Management (CPIM) and a Jonah certification in Theory of Constraints from the Goldratt Institute. 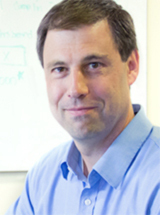 Kirk manages customer and partner relationships by providing support, post go-live consulting services, and training. Prior to this role, Kirk worked as a delivery consultant and managed several successful Synchrono implementations. Kirk has more than fifteen years’ experience working in manufacturing and more than eight years with Synchrono. He is a subject matter expert in ERP, MRP, supply chain, manufacturing planning and scheduling systems and constraints management. Prior to joining Synchrono, Kirk worked as a Supply Chain Analyst for Medtronic Inc.; and at 3M Company in Advanced Planning and Scheduling systems. There he implemented or supported systems at more than 30 different locations. Kirk earned a BS in Industrial Engineering from the University of Wisconsin, Madison. He holds certifications for CPIM (Certified in Production and Inventory Management) and for both SAP and i2 technologies.